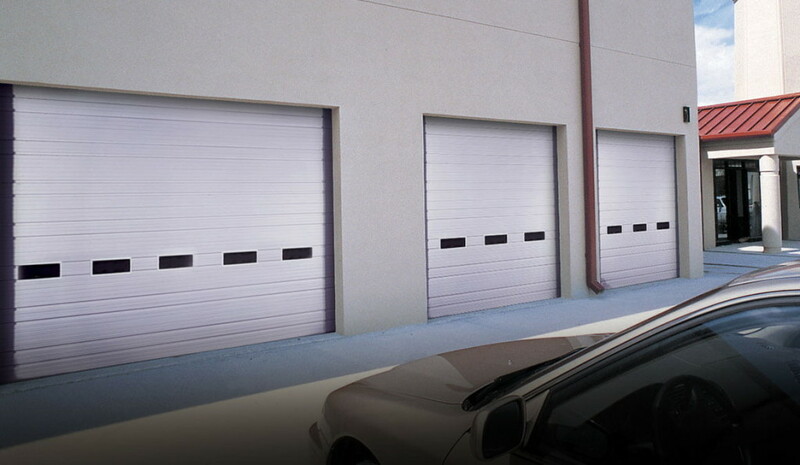 The garage door of your facility is one of the most-used doors and entryways to your building. Many owners or managers make the mistake of only having their commercial garage doors inspected when a part or piece of hardware breaks. Safety: With a properly-maintained door, you can identify and prevent hardware failure that leaves the door inoperable or could injure employees. Life-Expectancy: While commercial garage doors last for many years, the parts will prematurely wear out without maintenance. Regular inspections can prolong the lifespan of the system. Cost: Most tune-ups are far less expensive than common repairs or entire door replacement. Regular Visual Inspections: With the garage door closed, visually look over the mechanisms of the garage door — cables, springs, rollers and hangers — checking for signs of excessive wear or rust and corrosion. Door Balance Test: Disconnect the door from the opener and then lift the door halfway up its track. If the door is properly balanced, the door will remain in place. Unbalanced doors will either snap open or crash down. Test Reversing Mechanism: As a safety feature that manufacturers must install, test the reversing mechanism by placing a piece of wood at the bottom of the door. Close the commercial garage door using the automatic opener. When the door hits the wood, it should automatically reopen. Clear Photo Eyes: Remove any debris from photo eyes. Also, test the functionality of this safety feature by closing the garage door and then blocking the photo eye beam with a broomstick. If it’s working properly, the door should raise when the beam is broken. Lubrication: As needed, make sure all moving parts are properly lubricated to prevent wear and rust buildup. For sectional and rolling doors, regular preventative maintenance is often determined by the condition of the facility, including its geographical location, environmental conditions and the normal operations of the door. Sectional doors should be inspected monthly for loose hardware. Hinges and springs should also be lubricated. Regularly check to ensure the track has not been misaligned, the weatherseal has not cracked and that there’s no difficulty opening or closing the door. Rolling doors require maintenance every three to six months to ensure proper functionality. Lubricate all moving parts, including roller chains and bearings. For crank-operated doors, use grease on the crank assembly and not a lubricant. Also, drop-test fire doors and check the tension of roller chains. At O&L Door Systems, we have over 25 years of practical experience installing, maintaining and repairing all makes and models of doors for business owners throughout the Twin Cities, MN, and beyond. We specialize in all types of door repairs, including broken spring, cable, track and roller repair. When you’re in a bind, we also offer emergency 24-hour services. To learn more about our garage door services and maintenance offerings, complete our online contact form or speak to one of our team members at 612-623-1817.